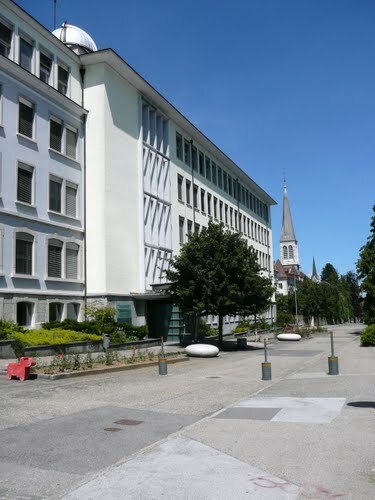 La Chaux-de-Fonds is a Swiss city of the district of La Chaux-de-Fonds in the canton of Neuchatel. 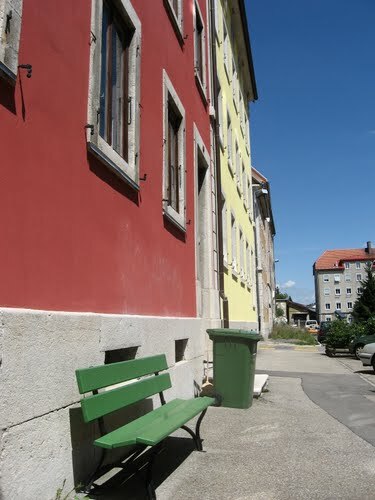 It is located in the Jura mountains at an altitude of 1000 m, a few kilometres south of the French border. 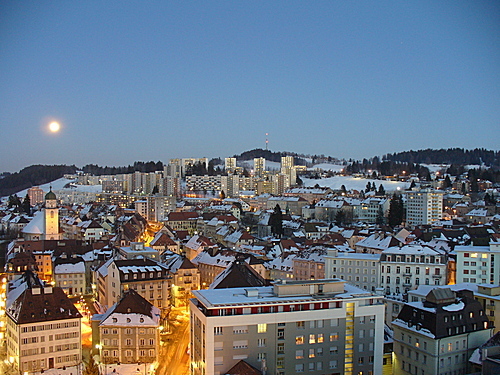 After Geneva and Lausanne, it is the third largest city located completely in the Romandie, the French-speaking part of the country, with a population (as of December 2014) of 39,027. 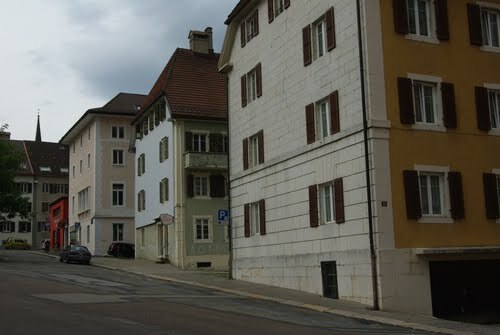 The city was founded in 1656. Its growth and prosperity is mainly bound up with the watch making industry. 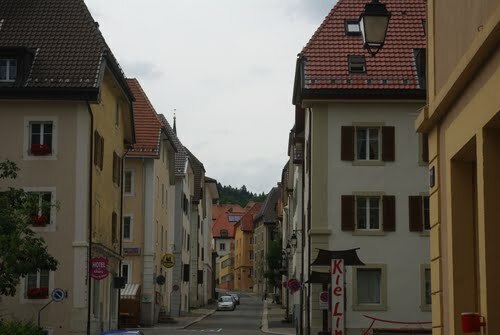 It is the most important centre of the watch making industry in the area known as the Watch Valley. 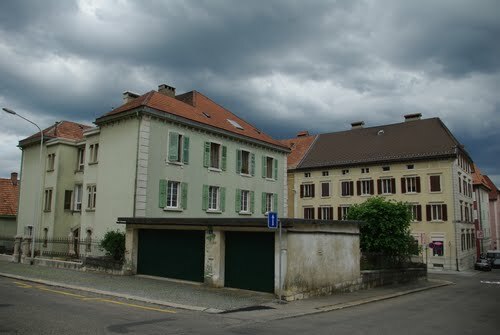 Completely destroyed by a fire in 1794 La Chaux-de-Fonds was rebuilt following a grid street plan, which was and is still original among Swiss cities. 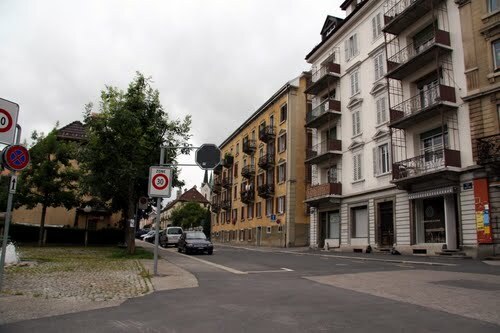 Karl Marx said about the very special urban design of the city that it was a "city-factory". 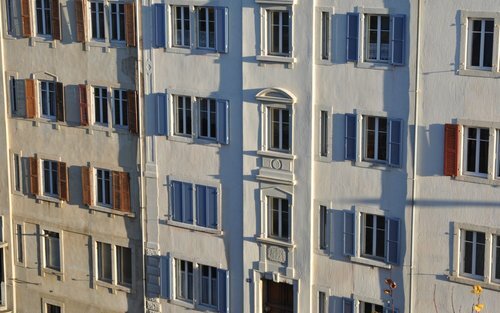 The famous architect Le Corbusier, the writer Blaise Cendrars and the car maker Louis Chevrolet were born there. 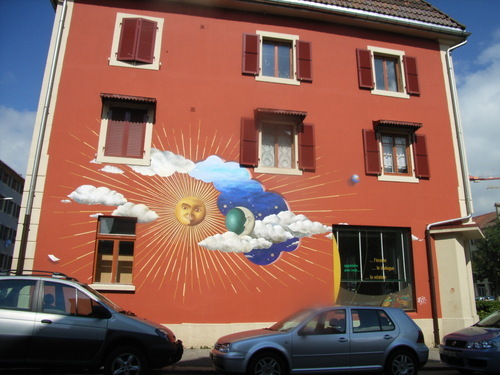 La Chaux-de-Fonds is a renowned centre of Art nouveau. 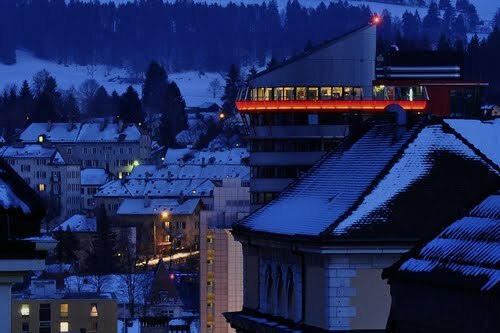 In 2009, La Chaux-de-Fonds and Le Locle, its sister city, have jointly been awarded UNESCO World Heritage status for their exceptional universal value. 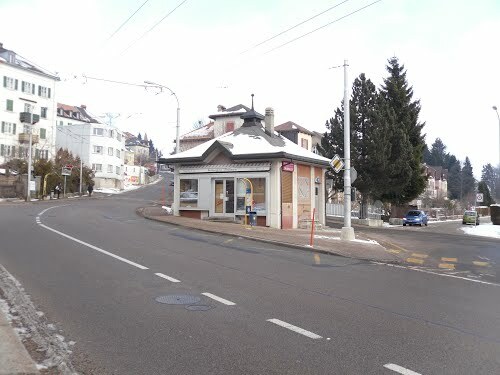 The Site's planning consists of two small cities located close to each other in the mountainous environment of the Swiss Jura. Due to the altitude (1,000 m [3,300 ft]) and the lack of water (porous sandstone underground) the land is ill suited to farming. 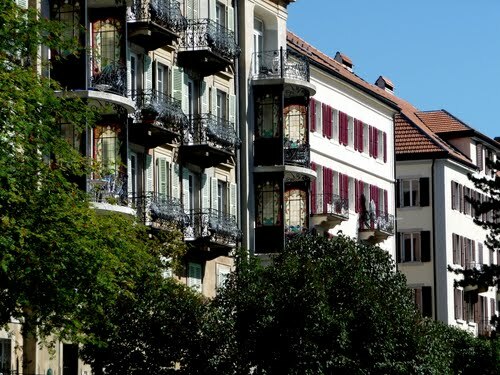 Planning and buildings reflect the watch-making artisans need of rational organization. 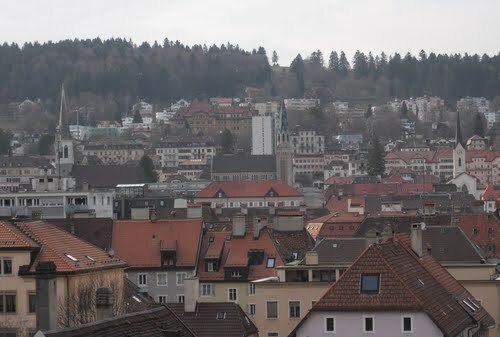 Rebuilt in the early 19th Century, after extensive fires, both towns owe their survival to the manufacturing and exports of watches, to which, in the 20th Century, was added the minute micromechanical industry. 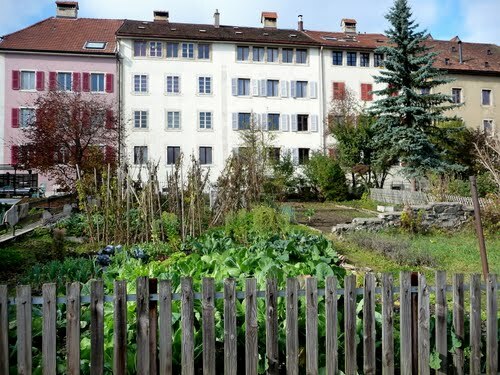 It is situated in the Jura Mountains, a few kilometers from the city of La Chaux-de-Fonds. 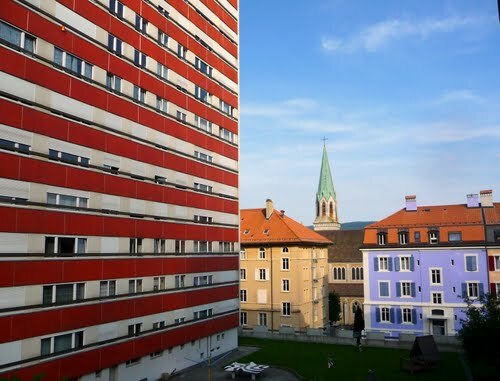 It is the third smallest city in Switzerland (in Switzerland a place needs more than 10,000 inhabitants to be considered a city).